2008! Some year that was, for Yamaha. Back to back launches of the R15 and the FZ16 brought in lot of success and adulation for Yamaha. 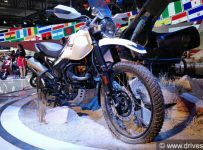 But instead of going on the offensive, the company was content in keeping to the 150cc segment. It did not bother to go beyond that until the launch of the R3 in 2015. But that too bombed, despite being a great motorcycle. It was just too expensive to make sense to the Indian enthusiast. 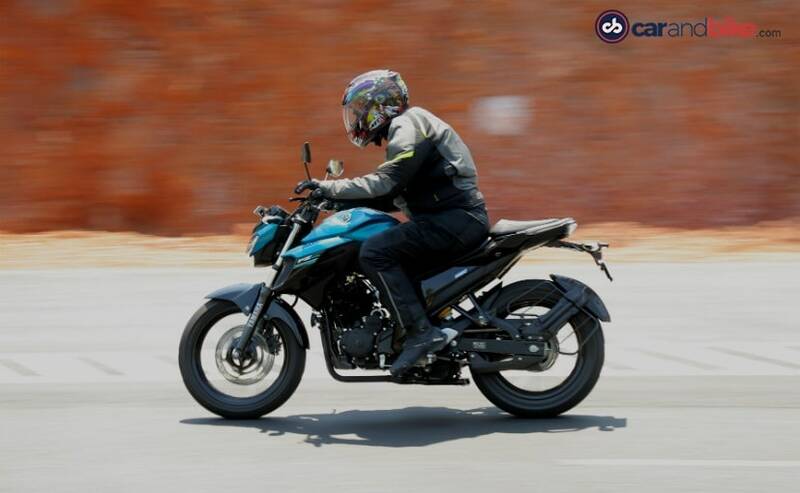 Lessons were learnt, we believe, and Yamaha launched the FZ25, the company’s first ever 250cc bike in India at a compelling sticker price of ₹ 1,19,500 (ex-showroom, Delhi). And so here we are, riding the motorcycle in the serene locales of Goa. 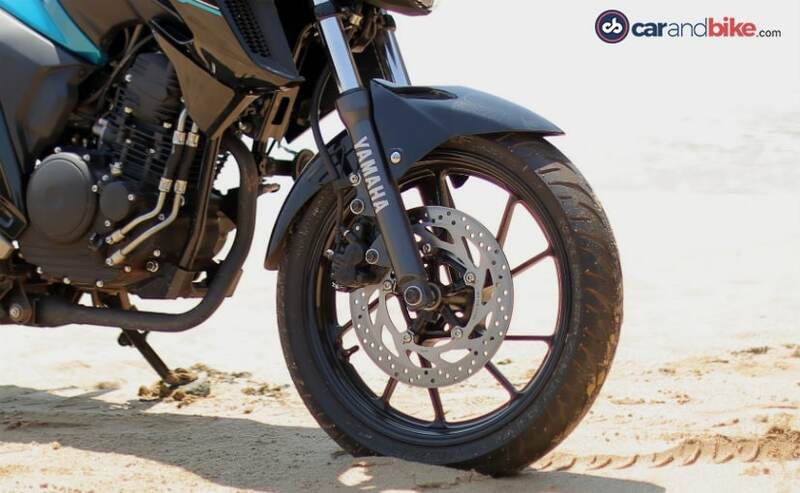 Here are the first impressions of the all-new Yamaha FZ25 fresh from a beach shack in Goa. No matter how many times one goes to Goa, one can never get tired of it. It is just so beautiful. And also, the food! Goa is home to some of the best seafood that you can…. Apologies for getting carried away! It is rather difficult for my mind to register that I was sent here for an assignment and not a holiday. Right then, getting on to the task at hand! 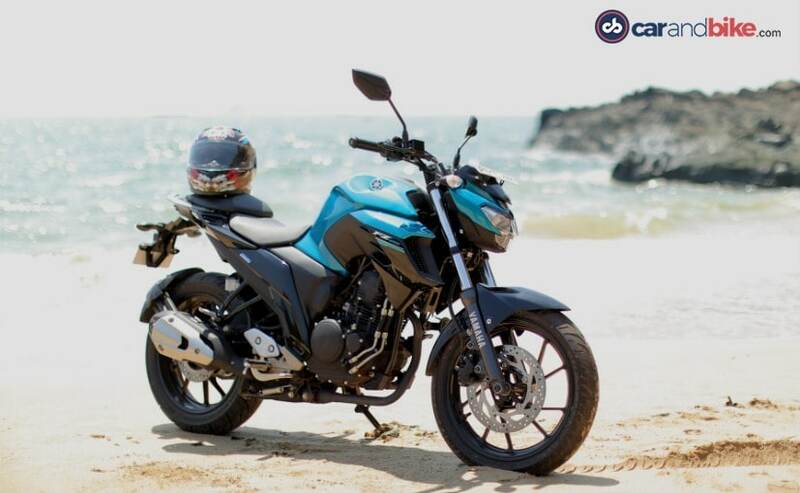 Straightaway, the most stand-out features on the FZ25 are the headlamp and the tank. Proper muscle that is! The bike looks great, no doubt about it. But rather than being an out-and-out aggressive design like the KTM Duke range, the FZ25 still has an element of calm about it. It is neither brash nor loud, but elegantly poised. Viewed in profile, the chiselled tank stands out along with the air vents in the tank extensions. The overall design is perfectly reminiscent of the FZ series. We like it. Looking at the rear, you know that the job is well done. The step seats, small LED tail lamp and that 140 section tyre at the rear makes for a good-looking motorcycle. What all does it get? 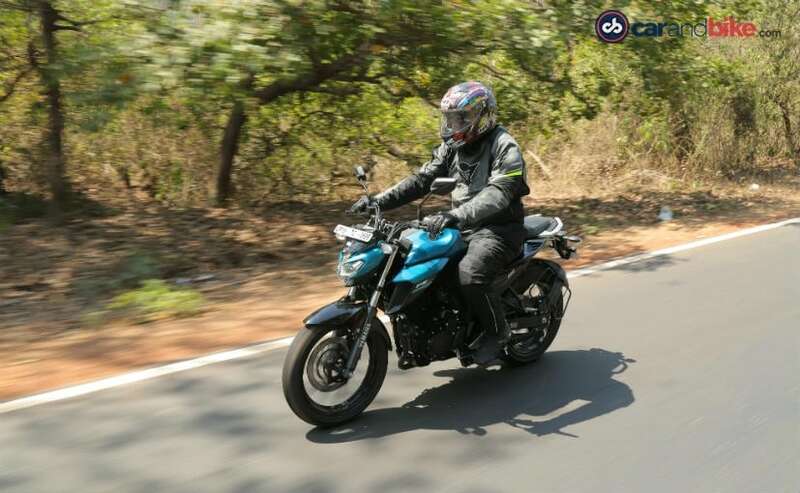 For your money spent on the FZ25, you get a fully digital instrument cluster which could have been slightly bigger, LED headlamps and tail lamps, monoshock at the rear and disc brakes at both ends. Unfortunately, the bike doesn’t get ABS. The digital instrument console has a rev-counter, speedometer, fuel gauge and two trip meters. There is no gear position indicator, which we believe should have been given. Makes life easier in city riding conditions! 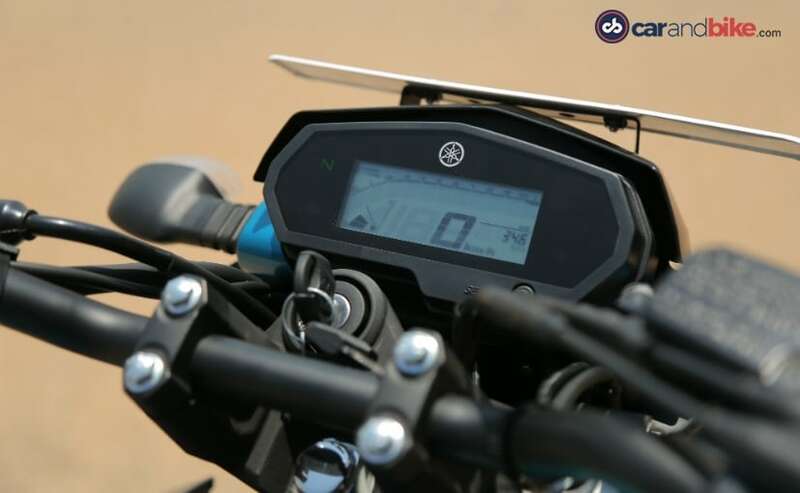 The features list is good but could have been better considering that some of the 200cc bikes such as the KTM 200 Duke and the TVS Apache RTR 200 have more comprehensive digital readouts. The ABS miss is something that doesn’t sit well with me, not one bit. Like all Yamaha engines, this particular mill too is smooth and likes to be revved. It is single-cylinder 249 cc unit that is air cooled and has a SOHC setup, along with fuel injection. The engine puts out 20 bhp at 8,000 rpm and 20 Nm at 6,000 rpm. The cylinder is constructed with forged aluminium and the cylinder walls are coated with nickel and phosphorous. Then, there are the low friction piston rings, and all this talk about cylinder wall construction and piston rings make for less friction, translating to refined performance. The torque curve is flat and the mid-range has a lovely punch to it. It will prove to be a god-sent while riding on traffic-laden roads in the city. The five-speed gearbox works smoothly and we found the clutch to be pleasantly light. Again, riding in bumper-to-bumper traffic made easy. A crusing speed of 90-110 kmph is not a big deal for the FZ25. Yamaha was keen on sustained riding and fun for the masses than making a bike go super-fast. How does it ride and handle? At 148 kg with a full tank and oil, the bike is quite light, which means the bike is really manageable on the move and in the parking lot as well. Yamaha says that the new double downtube frame is all aluminium and light-weight. 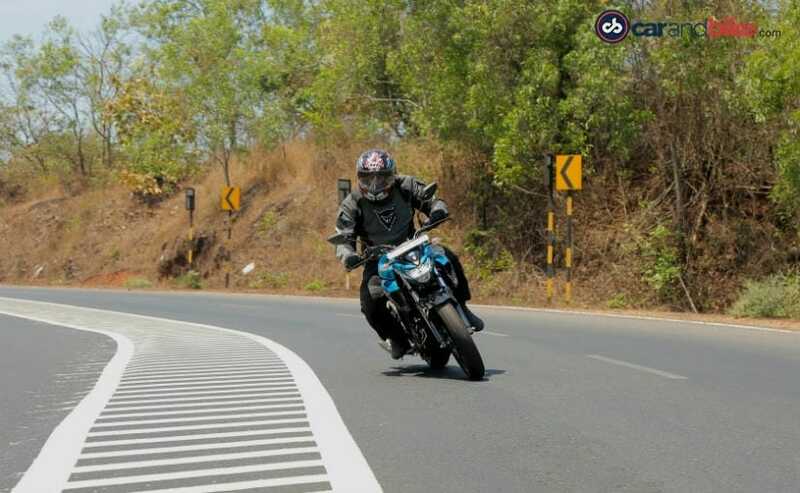 Be it flicking the bike from side to side on narrow Goan roads or filtering through traffic, the bike does it with ease. Also, the claimed fuel efficiency is 40 kmpl, giving a decent range of 560 kilometres with a 14-litre fuel tank. The ride quality is good, beautifully balanced. Neither too soft that the bike wallows nor too hard that bad roads become a problem. The bike gets a 282 mm disc up front and a 220 mm disc at the rear which is adequate but more bite would have been preferred. As mentioned earlier, the lack ABS, even as an option, is something that we couldn’t figure and we firmly believe that it is a bad miss. Why not? 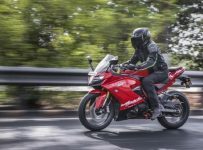 If you have a strict budget of ₹ 1.2 lakh or thereabouts and are in need of a good-looking motorcycle that can give you a thrill on a Sunday morning ride and play the role of the daily riding motorcycle with equal aplomb, then yes! 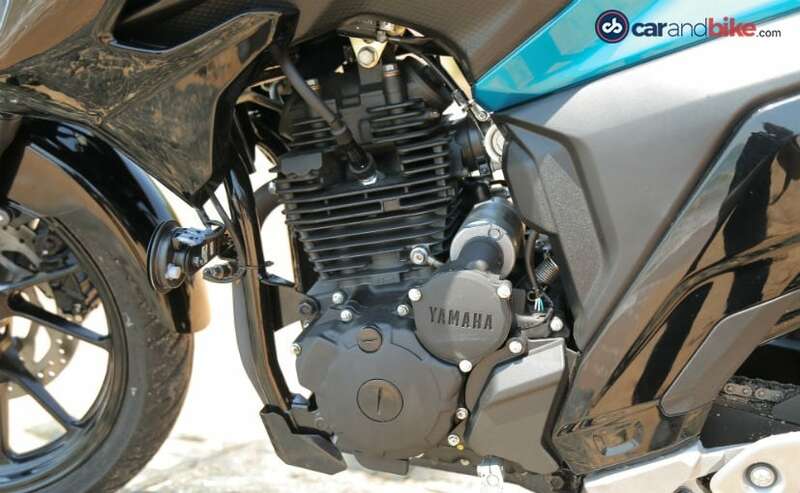 The Yamaha FZ25 makes a lot of sense. 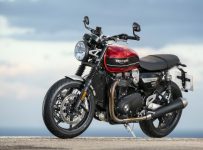 Barring the lack of ABS, the bike comes good on the features list and the price, undoubtedly, is rather compelling. It gets a big thumbs up from us! And it should, from you too.